Superstar Jr. NTR starrer highly awaited Jai Lava Kusa was released with huge buzz on last Thursday and registered phenomenal opening weekend. The movie got favorable reviews from most of the critics and gained positive word of mouth, as a result it is heading almost steadily in weekdays. Alongside Jr. NTR, KS Ravindra’s directorial is featuring Raashi Khanna, Nivetha Thomas in lead roles and Hindi cinema actor Ronit Roy as an antagonist. All the actors have performed excellently and are being appreciated by everyone for that. In the extended 4-days weekend, the movie grossed the business of total 92 crores at worldwide box office, which included 62 crores of AP/TS, 11 crores of Karnataka, 2.25 crores of Tamil Nadu, 2.50 crores of ROI (rest of India), 9.25 crores of USA and 5 crores of ROW (rest of world). 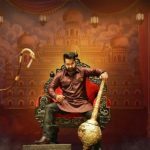 From Andhra Pradesh & Telangana alone, Jai Lava Kusa raked 62 crores gross in the weekend, including 32.10 crores of Thursday, 9.40 crores of Friday, 9 crores of Saturday and 11.50 crores of Sunday. While the worldwide total was included 47.25 crores of Thursday, 14.15 crores of Friday, 13.45 crores of Saturday and 17.15 crores of Sunday. Now the movie is running in weekdays and being normal working days, getting lower footfalls in theaters. On Monday, it did the business of 6.15 crores gross (5 crore of AP/TS). While on Tuesday it minted 4.85 crores (4 crore of AP/TS). On the next day i.e. Wednesday, Jai Lava Kusa had the newly released Mahesh Babu’s Spyder in opposite and reported the business of 3.15 crores (2.50 crores of AP/TS). With this, total 6 days collection of the movie has become 106.15 crores gross globally.